Metabolic Training, Plyometric Training, Krav Maga, Tulsa Personal Trainer, Forge. An entrepreneur and mother of three, Jill Trebilcock has been integrating mixed martial arts, circuit and plyometric training for her clients for the past 13 years. Many of her training techniques have evolved from self-defense methods learned through 8 years of Krav Maga study. She believes that fitness is more than a new year’s resolution; it’s a way of life. Jill’s training doesn’t require fancy equipment, just hard work and dedication. 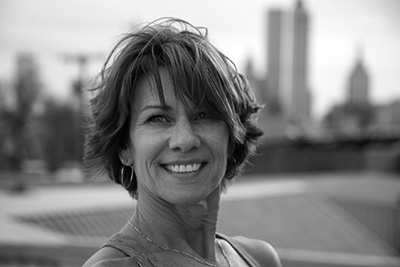 People often spot Jill leading classes at Centennial Park, with clients along Riverside Drive, or participating in a run shoulder-to-shoulder with her three children. The mental and physical transformations Jill sees in her clients every day keep her inspired, solidifying the belief that the changes we make in ourselves today create a better, healthier tomorrow. Please check out Jill’s Facebook Page Fitcon Tulsa to learn more about the love she has for her clients & what makes her so unique.